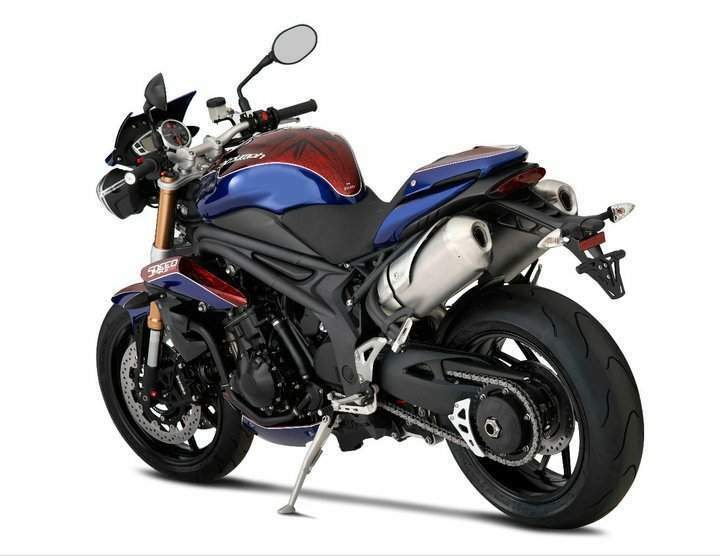 Celebrating an important milestone in the company’s history, comedian and motorcycle enthusiast Ross Noble will be using a uniquely liveried Speed Triple, Triumph’s 500,000th bike, in a week-long ‘Sit Down Tour’ Noble will visit England, Scotland and Wales, guided only by fans via Twitter, to uncover some of Britain’s best biking routes. 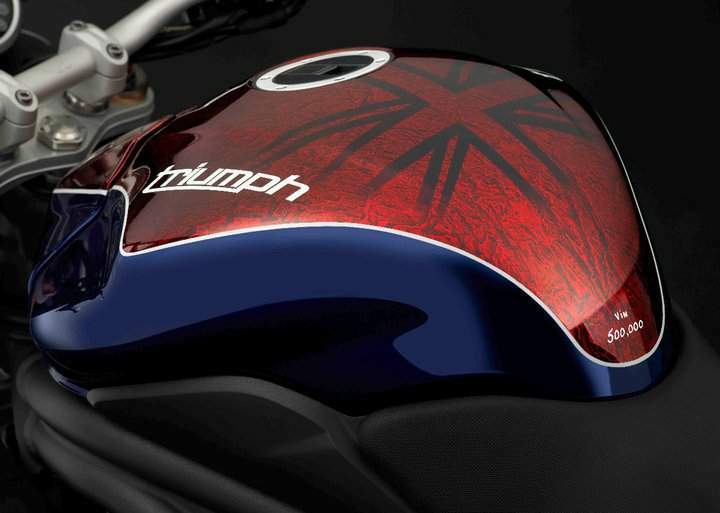 The half-millionth bike to roll off Triumph’s production line since 1990, the bike used Noble is destined to become a collector’s item. 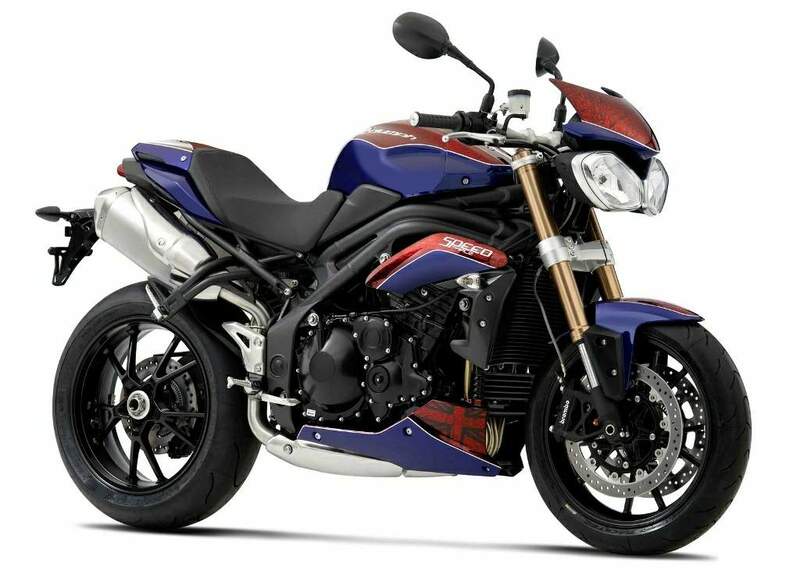 The one-off Speed Triple uses a unique red, white and blue paint scheme, created using a brand new production technique. 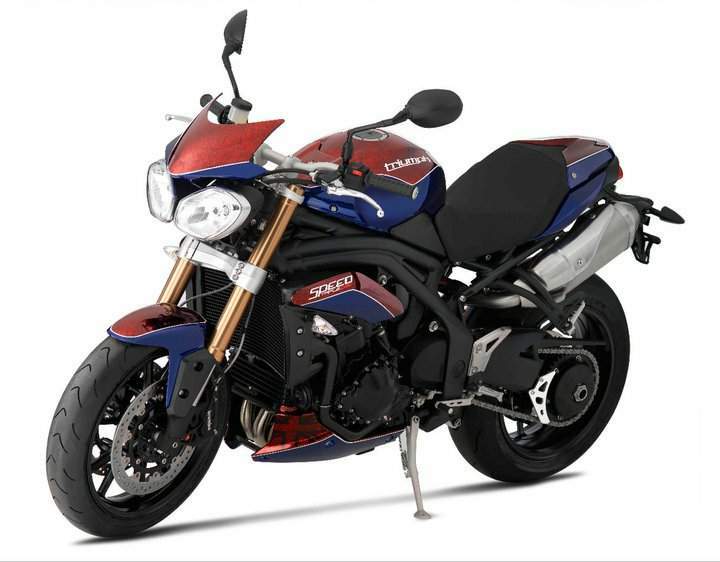 After the Sit Down Tour is over, The Speed Triple will be auctioned with all the proceeds going to the Riders for Health. The charity provides vital motorbike transport for medics to reach otherwise inaccessible parts of rural Africa . "Reaching the 500,000th bike in just twenty years is a terrific achievement and a credit to the hard work of everyone at Triumph and our dealer partners globally. To mark the occasion and also to celebrate our British roots, we wanted to do something that gave our customers a chance to get involved. 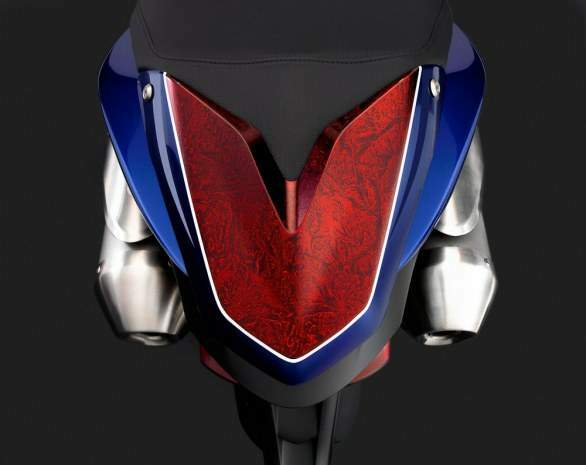 We were delighted when Ross agreed to help us mark the milestone with his Sit Down Tour, which will involve dealers, riders and fans across the UK,” stated Guy Masters, GM of Troumph UK on the Sit Down Tour.